The word pearl is a metaphor for something rare, beautiful, and valuable. 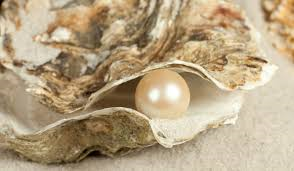 Pearls are formed inside the shell of certain mollusks as a defense mechanism against a potentially threatening irritant. The mollusk creates a pearl sac to seal off the irritation. And so it is with change and improvement. The growth of precious pearls of improvement wisdom – the ones that develop slowly over time – are triggered by an irritant. Someone asking an uncomfortable question perhaps, or presenting some information that implies that an uncomfortable question needs to be asked. It is a good question because some believe that it would and some believe that it would not. So an experiment to test the hypothesis was needed. The Health Foundation stepped up to the challenge and funded a three year project to find the answer. The design of the experiment was simple. Take two oysters and introduce an irritant into them and see if pearls of wisdom appeared. The two ‘oysters’ were Sheffield Hospital and Warwick Hospital and the irritant was Dr Kate Silvester who is a doctor and manufacturing system engineer and who has a bit-of-a-reputation for asking uncomfortable questions and backing them up with irrefutable information. Two rare and precious pearls did indeed grow. In Sheffield, it was proved that by improving the design of their elderly care process they improved the outcome for their frail, elderly patients. More went back to their own homes and fewer left via the mortuary. That was the quality and safety improvement. They also showed a shorter length of stay and a reduction in the number of beds needed to store the work in progress. That was the flow and productivity improvement. What was interesting to observe was how difficult it was to get these profoundly important findings published. It appeared that a further irritant had been created for the academic peer review oyster! The case study was eventually published in Age and Aging 2014; 43: 472-77. The pearl that grew around this seed is the Sheffield Microsystems Academy. In Warwick, it was proved that the A&E 4 hour performance could be improved by focussing on improving the design of the processes within the hospital, downstream of A&E. For example, a redesign of the phlebotomy and laboratory process to ensure that clinical decisions on a ward round are based on todays blood results. And the pearls of wisdom that developed as a result of irritating many oysters in the Warwick bed are clearly described by Glen Burley, CEO of Warwick Hospital NHS Trust in this recent video. Getting the results of all these oyster bed experiments published required irritating the Health Foundation oyster … but a pearl grew there too and emerged as the full Health Foundation report which can be downloaded here. So if you want to grow a fistful of improvement and a bagful of pearls of wisdom … then you will need to introduce a bit of irritation … and Dr Kate Silvester is a proven source of grit for your oyster!